There has been a few entries in this blog about the journey getting to/from the boat in different seasons of the year. Summer is upon us and sadly disappearing. 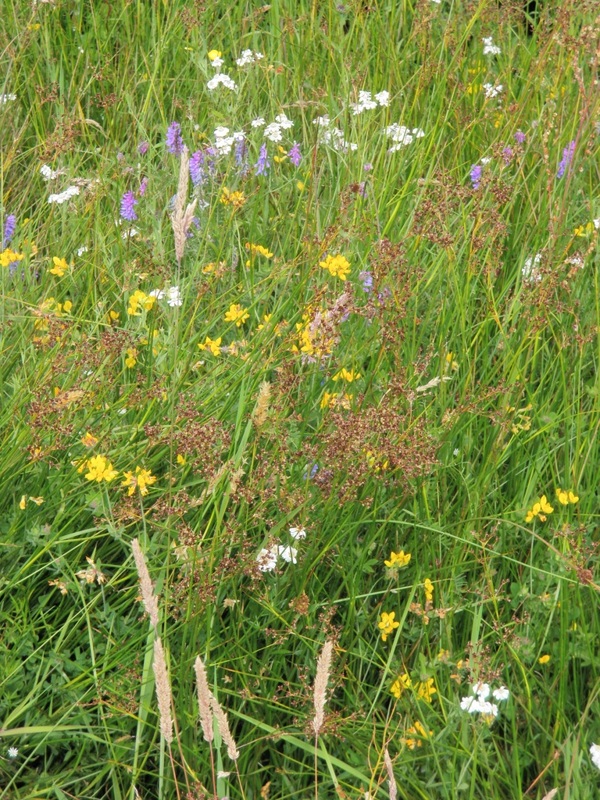 When I came back from Sweden I noticed how ‘green’ our roadsides and fields looked compared to the multicoloured equivalents in Sweden, “What has happened to our wild flowers?” I thought. It was not a festival, it was too intimate for that, but it was a meeting of musicians who play the Swedish bagpipes, the sackpipa. I have been interested in the sackpipa for many years when I bought the LP of solo sackpipa in 1991. I had additional information after that when I visited Sweden and actually got to see the instrument after many years of just listening and seeing photos when I visited a maker near to Nykoping called Bors Anders, he is a maker also of ocarinas. 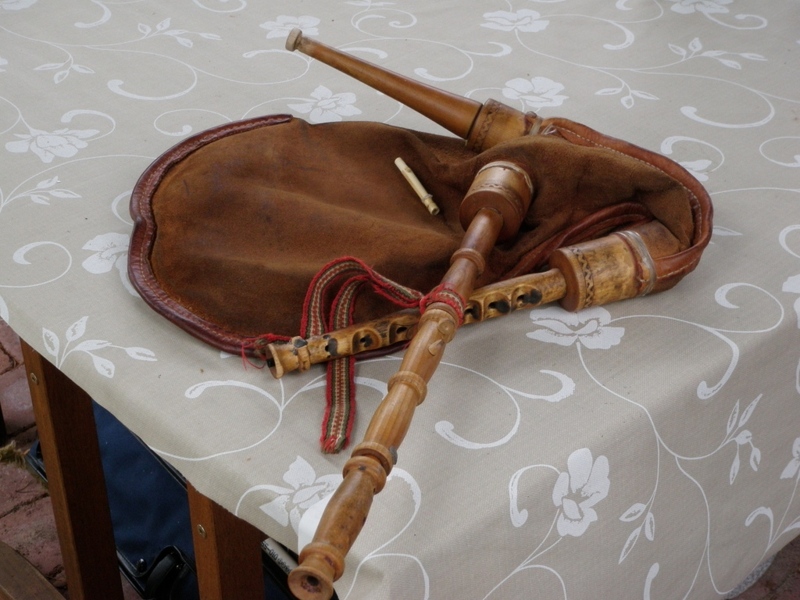 The Sackpipa has 1 drone, 1 melody chanter, 1 bag, it is mouth blown. It has a range of 1 octabe – bottom E to top e, the drones sound in A and the tonic on the chanter can be found half way along the chanter. The Scale is E, F#, G#, A, b, c, d, e (most instruments can also play a c# and a d#) these semitones are opened/closed by placing a rubber band over the hole. After coming home from Sweden, where I had attended the Sackpipa Festival (Swedish Bagpipes), I started busking. I have not busked for a few months, I have been too busy with the new rig on the boat. But on my birthday I felt like going out and busking just for enjoyment. When I was playing I had trouble with my G bass drone, it would not staying in tune but kept on going flat. Today it did the same thing and I knocked it off and set the bass D drone instead, so having 2 D drones playing D/d.. I got this idea of a few Cumbrian pipers who just so happen play with their D drones all the time whether in the key of G or D. The Swedish sackpipa players have a chanter which is A, but their drones are in E, which is a similar arangement. I played a lot of melodies today using the D drones and after first thinking it does not sound right…as I am so used to the G/d drone arangement, I started to think how compatable they are together. The D drone compliments the bass notes on the chanter, the F# and the A as well as being in tune with the G (root note) it is quiet and in the top octave the harmonies sound less complicated than with the G/d drones, and the D drone stays in tune! 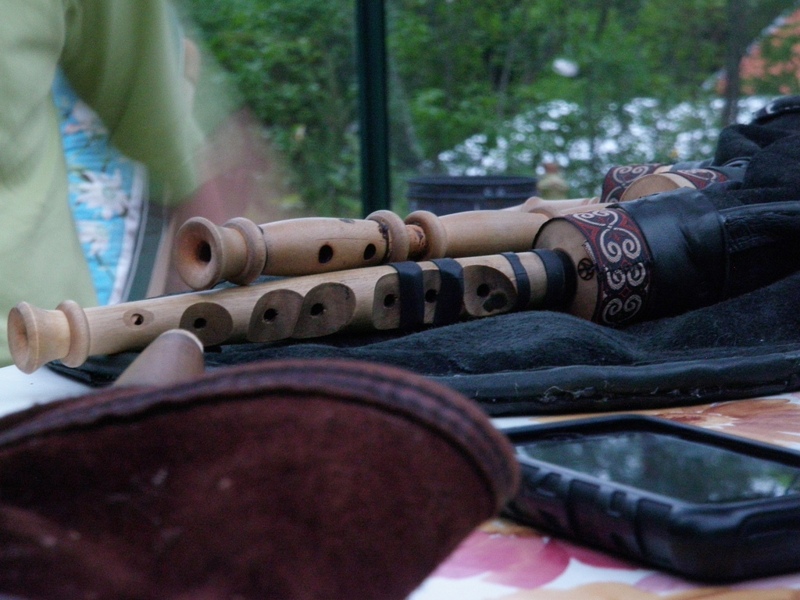 Another influence from the Sackpipa Festival was the re-tuning of the Border pipes by using tape. I have always had problems with my Border pipes or should I say with the reeds. I could never get the whole chanter in tune with itself whilst being in A (440c) it was ok when it was flat, but in A I had problems. 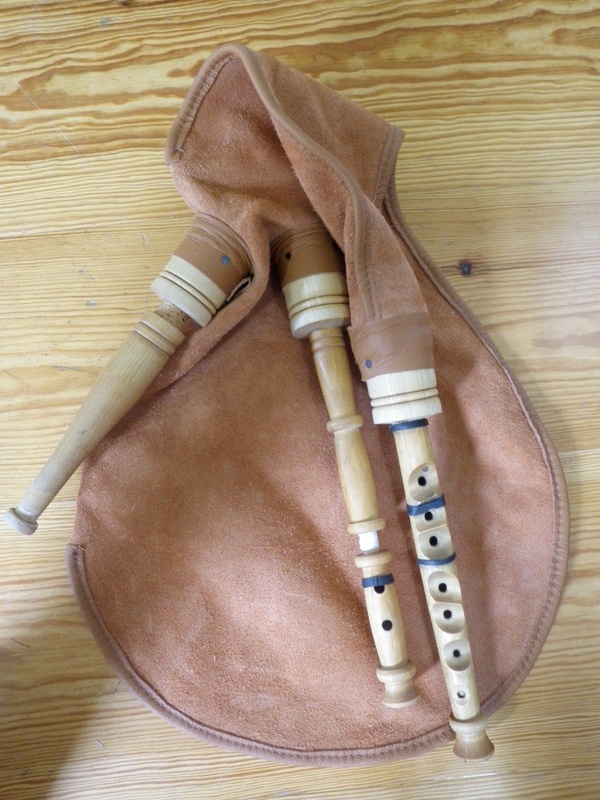 The Sackpipa players cover their holes with rubber bands to tune the chanter, so I covered the holes with tape to make a few notes flatter/sharper and now it is in tune, in concert pitch A and sounding quite nice, again with 2 drones (tenor and bass) tuned in A.